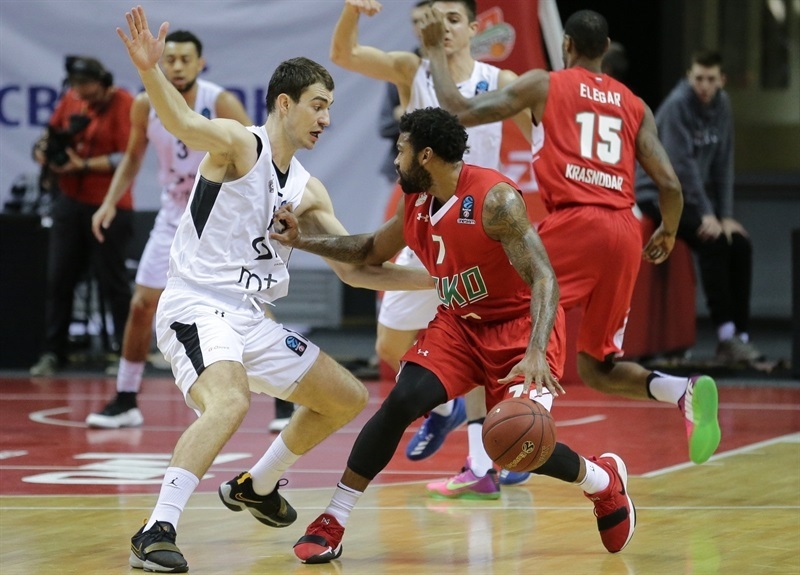 Lokomotiv Kuban Krasnodar completed a perfect 7DAYS EuroCup Regular Season by overwhelming Partizan NIS Belgrade 99-64 at home in Group C on Wednesday. 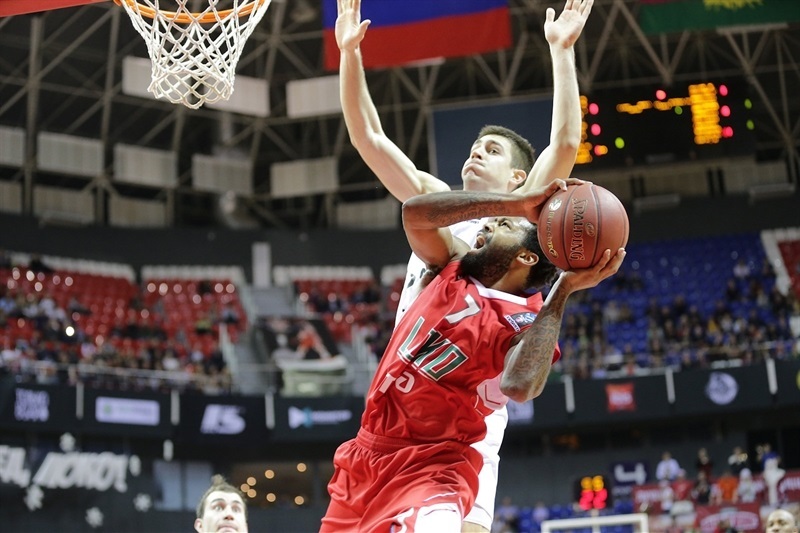 Lokomotiv finished first in Group C with a 10-0 record and will keep fighting for EuroCup glory in Top 16 Group G. Partizan finished sixth with a 1-9 record. 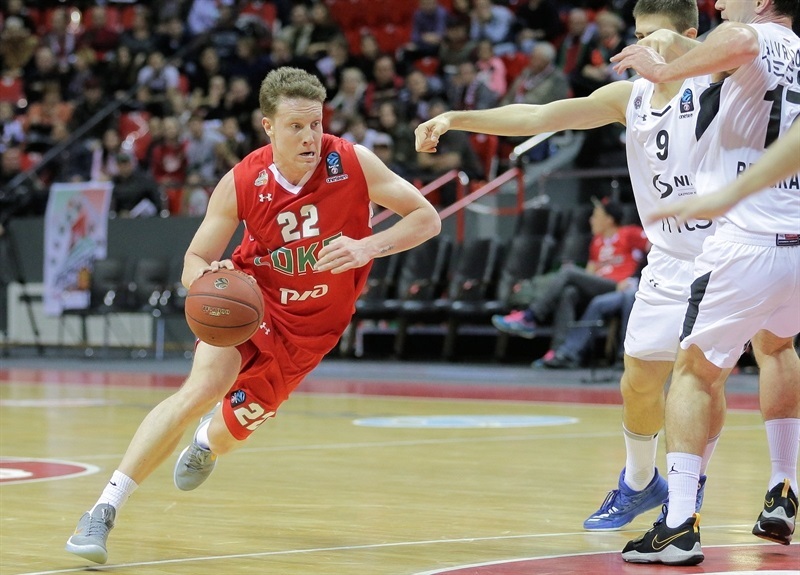 Pavel Antipov led the winners with 21 points, Mardy Collins added 13 and Dmitry Kulagin, Brian Qvale and Ryan Broekhoff each scored 11 for Lokomotiv. 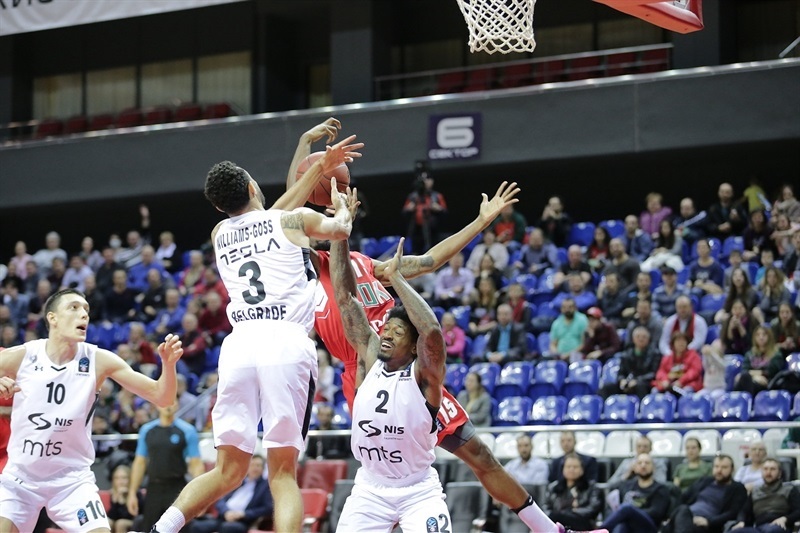 Vanja Marinkovic led Partizan with 15 points and Nigel Williams-Goss and Novica Velickovic each had 11 for the guests. Broekhoff and Kulagin fueled an 11-0 run that helped Lokomotiv to a 22-18 lead after 10 minutes. 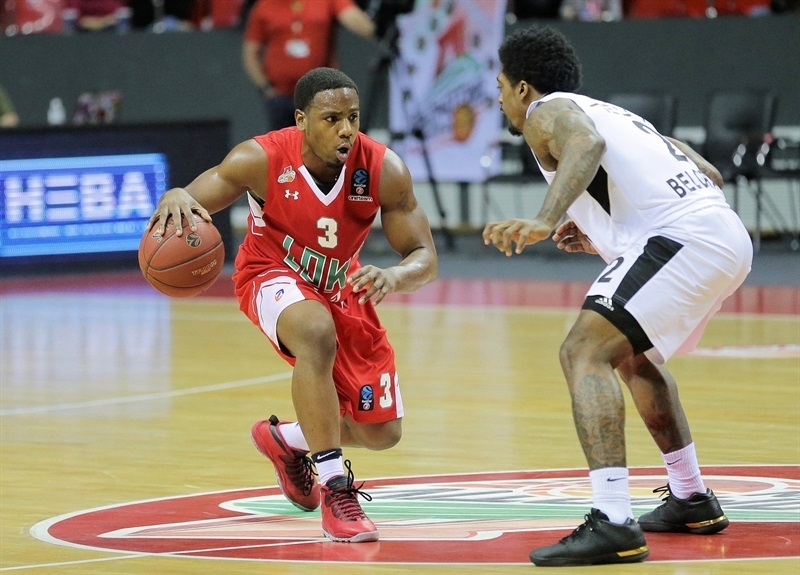 Lokomotiv rolled early in the second quarter, as Collins, Chris Babb and Trevor Lacey boosted their team's lead to 39-21. 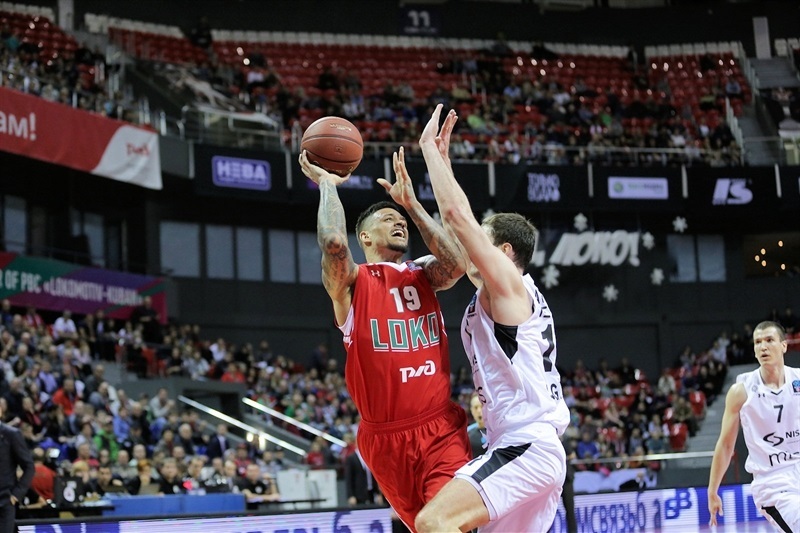 Lokomotiv kept pushing, as Babb and Qvale gave the hosts a 54-28 margin at halftime. Antipov took over after the break and a dunk by Kulagin made it a 30-point game and Lokomotiv cruised until the final buzzer. 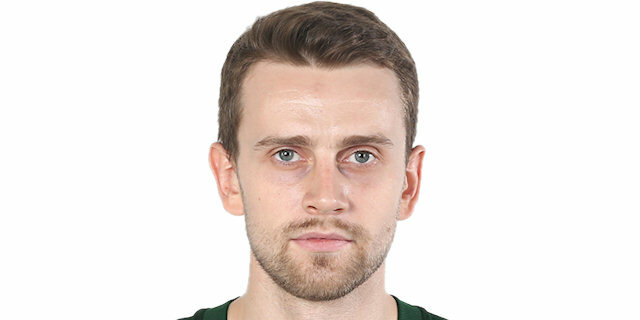 Qvale shined early, following a second-chance basket with a floater for a 5-2 Lokomotiv lead. 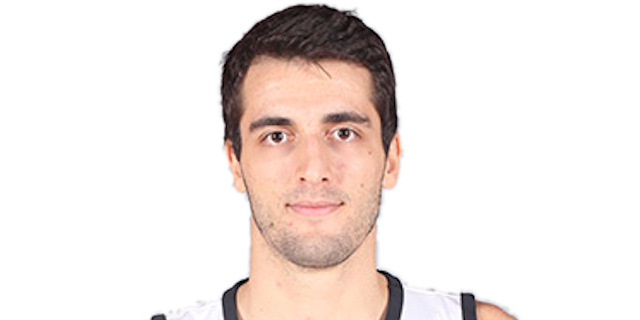 Marinkovic struck from downtown and free throws by Strahinja Gavrilovic gave Partizan its first lead, 5-7. It didn't last long, however, as Broekhoff and Kulagin combined for 9 points in an 11-0 run that gave Lokomotiv a 16-7 lead. Gavrilovic stepped up with a dunk and a layup before Velickovic singlehandedly brought Partizan within 19-18. A three-pointer by Babb fixed the score at 22-18 after 10 minutes. Babb kept pushing the hosts with free throws, Collins hit a jumper and an unstoppable Lacey broke the game open at 31-18. Williams-Goss and Dmitry Khvostov traded triples and a driving layup by Collins caused Partizan call timeout at 36-21. Antipov struck from downtown to cap a 20-3 run, but Patrick Miller and Williams-Goss brought Partizan a bit closer, 41-26. Qvale took over with 6 unanswered points, Stanislav Ilnitskiy buried a triple and Babb gave Lokomotiv a 54-28 margin at halftime. 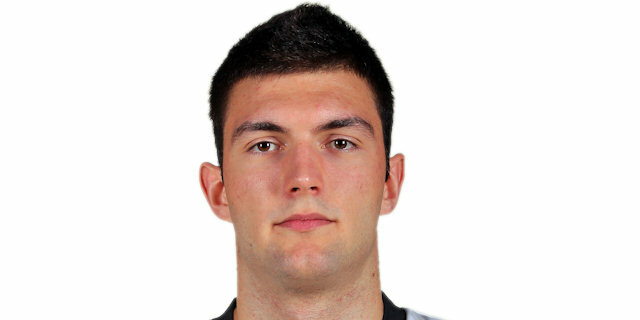 Antipov took over after the break with a couple of three-pointers, a jumper and a fast break layup. Kulagin soon added a fast break slam for a 30-point Lokomotiv lead, 68-38. Collins and Broekhoff downed back-to-back shots from downtown and a put-back slam by Frank Elegar prompted Partizan to call timeout at 78-39. 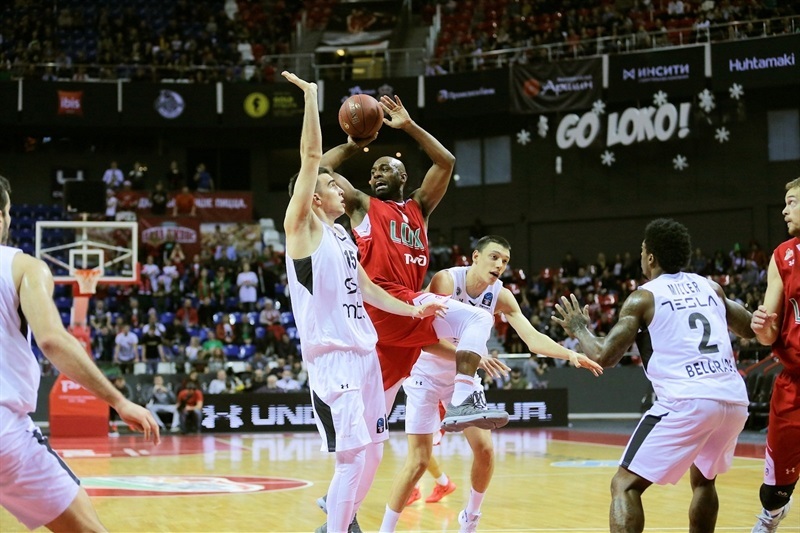 Djoko Salic and Miller brought Partizan within 83-46 after 30 minutes. Nothing changed in the fourth quarter, as Lokomotiv had cruised to its 10th win in as many regular season games. "This is the easiest game to play. There was no big pressure, we finished first in the group. And the only thing that I said was that we had to work to win the game, to feel good, to improve our game too and make people come. It’s also very important because we are fighting for each fan. Comparing with the previous season, it’s even a better atmosphere. As for the game, everybody gave a certain contribution. For us a new league, a new competition starts from the 3rd of January." "I don't think too much about [being 10-0 in the regular season]. I don't think this is realistic. A new phase starts in January and it is going to be completely different, and we should be ready for this." "A very tough game for us. We knew that we would play against a very good team, probably the best team in the EuroCup. We didn’t play with energy most of the time, we didn’t show pride. In the second quarter, we had only 1 rebound. It was unacceptable. Too many turnovers. We allowed too many easy points from fast breaks. One team is better than another team and at the end there’s a 35-point difference." 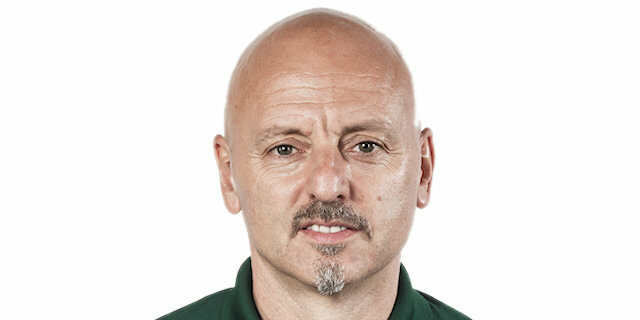 "Partizan took the last place and we took the first place in the group. We expected a fight, but after a few minutes of the third quarter we broke them down. Then we just had to finish the game. Even our coach sat down, which is quite unusual. We enjoyed the game." "Only in the first quarter did we play on a good level. Everything else can be useful only if we learn from it and transform it into a good game against FMP on Saturday in the ABA league." "It is never pleasant when you lose the game, especially by such a big margin. 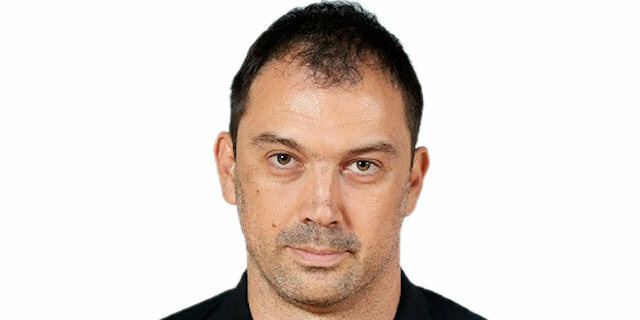 We must learn from this experienced and better Loko team and use the experience we gained from the EuroCup to be on a high level in the ABA league."